"The most dangerous love story ever told." Romeo and Juliet, which was released in 2013 and directed by Carlos Carlei, tells the timeless and tragic story of Shakespeare’s star-crossed lovers. The tale takes place in the traditional setting of Renaissance Verona. The tradition ends there, however, with the dialogue being completely modern while continuing to tell the story that Shakespeare intended. 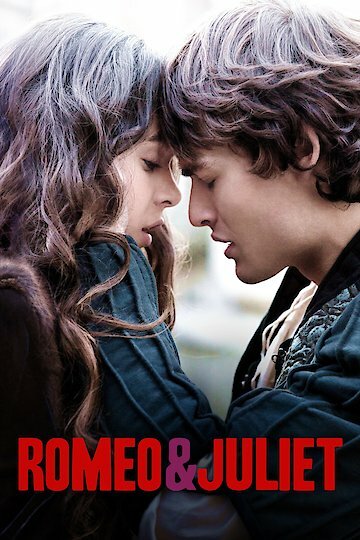 Follow Hailee Steinfeld as Juliet, and Douglas Booth as Romeo while they undergo love, loss, and tragedy. These young lovers are caught between feuding families. They fall in love and secretly marry despite their families’ disdain for each other. This account of Romeo and Juliet portrays the tragic story this young couple suffers for love. This modern interruption of Shakespeare’s Romeo and Juliet creatively introduces the classic play to the modern generation. Romeo and Juliet is currently available to watch and stream, download, buy on demand at Amazon, Vudu, Google Play, iTunes, YouTube VOD online.